Editor’s Note: This article appeared in The Mountain Astrologer December 2012 and is reprinted with permission. 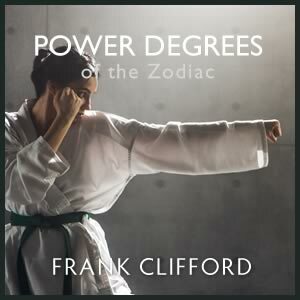 Frank continues this exploration in his Power Degrees webinar. In this column, I’ll be looking at the first degree and, in particular, the last degree of a sign and their significance. I’ve chosen three examples where the Sun is at 29° of that most enigmatic sign, Scorpio. When a planet is at the very beginning of a sign, it has moved into new territory (a new element and mode) and is in dialogue with that sign’s planetary ruler. In the natal chart, planets or points at 0° of a sign take a stance that either indulges in or embraces the very pure, undiluted nature of the sign. There’s a fresh, unstudied quality to a planet at this degree. Some of the most familiar, prima facie traits linked to that sign will be obvious in the person’s nature, but the sign’s true essence and the challenges the planet must face and embrace on its journey are just being discovered and are yet to be mastered. Simply put, there’s a new language to learn and much work to be done. Embarking on this voyage, the planet at 0° appears highly eager to encounter that which it will become. When a planet Solar Arc directs to a new sign, this indicates a “year of getting to know and beginning to experience the essence of that sign In some ways it’s a portent – a signpost indicating much of what we can expect for the next thirty years condensed (and intensely heightened) into the first twelve months.” (1) Astrologer Fernando Guimaraes suggested to me that the first degree is like an “operatic overture,” an introduction that sets the mood for what will follow. Planets or points at the middle degrees, from 14° to 16°, appear to be truly entrenched in that sign’s raison d’être. When in a cardinal sign, the planet/point is fully engaged in the process of moving forward and encountering challenge and conflict. In mid fixed degrees, the planet is at its most permanent, solid, and durable but sometimes becomes stagnant or stuck. In mutable, it is at its most versatile and diverse but precarious, scattered, and prone to fluctuation and instability. Known as the anaretic degree or “degree of fate,” the final degree (29°) is often given a negative spin. Astrologer Richard Swatton reminded me that, according to traditional bounds and dignities by term, the malefics rule the final degrees of all the signs. Some horary practitioners observe that the querent can do nothing to affect the outcome; it’s simply too late to have control over a situation. Natally: Whereas the 0° planet is taking initial steps on the road ahead to envision, discover, and create its journey, the 29° planet senses inevitability, irrevocability, and finality – the end of a familiar path. But a planet at the final degree has a “knowingness” about it; it’s a seasoned player, very skilled in that sign, having earned its stripes. Those of us with a natal planet at 29° – though we’re equipped to deal with issues linked to the sign – will likely encounter some of the most challenging facets of that planet-in-sign’s meaning in our lifetime. There may also be a desire to understand what has already happened that cannot be undone – a lifelong mission to resolve and come to terms with these issues which we seem to have been saddled with at birth. By Solar Arc (SA), it’s the end of a 30-year era and often coincides with an intense twelve months (the final degree) that “packs a punch” – a time when exaggerated manifestations of that sign appear as life events. For instance, Whitney Houston’s SA Neptune was at 29° Sagittarius in her 10th house on February 11, 2012, when she drowned (chart not shown). I certainly wouldn’t link the final degree to death, but it was the end of Houston’s 30 years in the limelight (Sagittarius is the sign on her Midheaven and 10th house), which ran the Neptunian gamut from elegant, glamorous performances to seedy, drug-induced stupors. Her public life had begun so promisingly in November 1981, when SA Neptune moved to 0° Sagittarius. Whitney – 18, beautiful, and charismatic but already doing drugs – had started her modeling career and had just become one of the first African-American models to grace the cover of a national magazine (Seventeen). Positively, that which has been mastered – skills that have been acquired – can be put to good use in these twelve months. This is where the last degree can truly come into its own. It can be a year of distinction and wrapping up a long period of endeavour. In 1997, intrepid British politician Mo Mowlam worked to restore an IRA ceasefire in Northern Ireland and persuaded various sides to participate in the peace process – all during a time when she was fighting a brain tumour. Mowlam was instrumental in the signing of the Good Friday Peace Agreement on April 10, 1998, when her SA Saturn had reached 29° Libra (chart not shown). She retired from Parliament two years later. In hindsight, it’s clear that her historic work had been completed. By Solar Return, a year with 29° on the Ascendant can have the same sense of finality, or an understanding of the difficulties inherent in that sign. A few years ago, when my own Solar Return Ascendant was at 29° Libra, it coincided with the end of my marriage. During those twelve months, I met three people who would be influential in my life, all of whom had the Moon or Ascendant at this degree. Through these people, I learned much about the chronic indecision and second-guessing inherent in the final degree of Libra, as well as the importance attributed to making the right decision. The horoscope of tennis legend Billie Jean King has the Sun at the final degree of Scorpio, plus the Moon at the first degree of Libra. (See Chart 1) How have both manifested in her life? With King’s Sun at the final degree, the buck stops with her. She was born (Sun) to take control (Scorpio) and complete (29°) some Scorpio theme. And which facets of Scorpio has she instinctively known how to harness? What in her Scorpio nature is exaggerated? Scorpio is a politically savvy sign that experiences (and is adept at han- dling) crises and extremes. At the final degree, in Scorpio, the following may be greatly in evidence: lifelong compul- sions; a steely will, tunnel vision, and total intensity one-on-one; an unflinching focus on the final, ultimate goal (be that victory or an obsession with death and endings); an ability to execute under pressure; an all-or-nothing, winner-take-all philosophy; authenticity and integrity; emotional inscrutability; and an innate understanding of the relationship between power, money, and gender. King is known to demand total attention from others and to pour all of herself into whatever she does (Scorpio). For King, the Sun at 29° Scorpio reveals her involvement with, and impact on, gender politics, as well as the influence she has had on sponsorship and prize money in the women’s game. (The eighth sign, like its corresponding house, has links to “other people’s money.”) This Sun placement was not without heavy personal consequences: She had to keep her (homo)sexuality hidden because the newly founded women’s tennis tour and her own livelihood depended on secrecy. When news of her abortion and homosexual affair was made public, many of her endorsements evaporated, but she kept on fighting (Scorpio). The final degree of Scorpio knows how to play the game – to suss out the competition and devise a strat- egy. When King agreed to participate in a Battle of the Sexes tennis match, she needed nerves of steel to beat hustler Bobby Riggs, who had defeated the women’s #1 player in the world, Margaret Court. The match was heavy with political significance (Scorpio). King knew what victory truly meant and had what it took! Riggs, with Sagittarius rising and Jupiter on the Descendant in Gemini, was a born promoter and gambler looking to be a major player of a Big Event (chart not shown). Given King’s Sun in Scorpio square Jupiter in Leo, it could be argued that it was her “destiny” to accept a heroic challenge and “kill off” patriarchal chauvinism. So, where were you when Billie Jean beat Bobby Riggs? The Houston Astrodome, September 20, 1973, just weeks after King had successfully lobbied for equal prize money for women at the U.S. Open; 30,000 spectators; 40 million in front of their televisions. 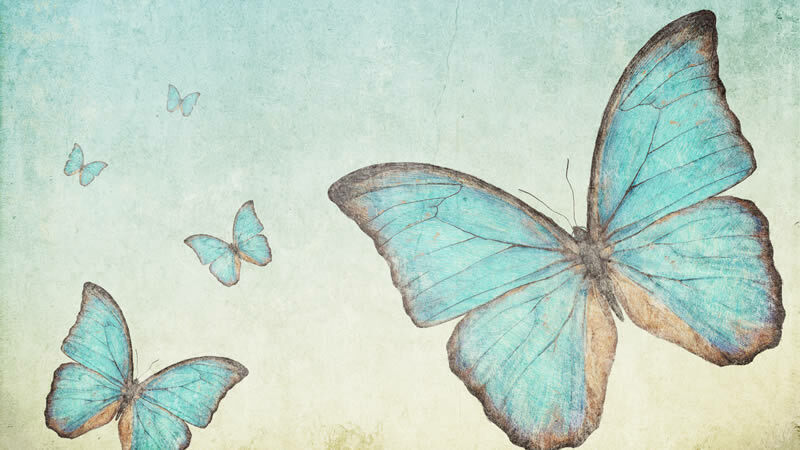 Uranus and Pluto were traversing the sign of Libra – a simple divide: women vs. men. The cameras started rolling at 8:00 p.m. Billie Jean King, current Wimbledon champ of 1973 and in her prime, took on Bobby Riggs, Wimbledon winner of 1939, a 55-year-old self-styled male chauvinist, and an out-of-shape clown. The scene was set for a match between the sublime and the slightly ridiculous. On that night (chart not shown), Venus and Mars were in opposition and mutual reception: What a perfect planetary setup for a “battle of the sexes”! Venus in powerful, premeditated, and poker-faced Scorpio stood less than one degree opposite Mars in solid but slow Taurus, which had turned retrograde the day before. King stayed focused and made Riggs look old and slow. It was a tactical (Scorpio) win for majestic King, while chauvinist pig Riggs squealed and spread rumours that the outcome may have been, er, rigged. Not surprisingly, at the time of this sports circus extravaganza, King’s Sun had directed/progressed to 29° Sagittarius. (3) It was an over-the-top, surreal spectacle befitting Sagittarius: one night of raucous high drama, hyperbole, and publicity on the world stage, which would overshadow the lifelong sporting achievements of both athletes. The win over Riggs would give King and her cause professional credibility (the Sun directed from Sagittarius to Capricorn soon after). With transiting Saturn in Cancer in an exact square to Pluto in Libra, the larger question in the air was: Should women attain equal power (Pluto in Libra), or stay at home and feel bound to a life of domesticity (Saturn in Cancer)? At the time of the Equal Rights Amendment, the Education Act, and Roe v. Wade, Billie Jean gave Women’s Lib a mainstream face and legitimized women’s tennis. In victory, King slew myths about women and weakness, and hit the first sporting strike for gender equality and freedom of choice (natal Moon at 0° Libra); her win sounded a death knell to male chauvinists who had perpetuated the myth of sexual inequality (her Sun at 29° Scorpio). 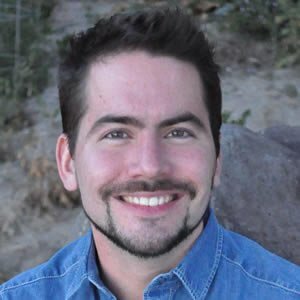 In a series of more than 100 articulate but hard-hitting, provocative monologues on YouTube, he has challenged religion and the beliefs of religious zealots (particularly those who follow Islam). To many people, he is an intolerant, ignorant bigot and xenophobe who incites racial hatred (and his Web site chronicles the numerous death threats he’s received). To others, he is the daring voice of rational atheism in a society fearful of reprisals and crippled by Saturnian political correctness. Condell’s issue is not with God, he says, but with religious dogma and the people who “take it upon themselves to police the rest of us on His behalf.” An early awareness of (and frustration with) hypocrisy and excess is common when evangelical Sagittarius is dominant (his Moon and Ascendant are in that sign). The son of a compulsive gambler who was controlled by his obsessions (Scorpio) and worked in a betting shop, Condell soon became aware of “the gulf between what people profess to believe and how they actually behave.” (4) The political edge, provocative bluntness, and satirical “bite” of Condell’s message, as well as extreme reactions from others which have brought him immense notoriety, are reflected in his Sun-Mercury conjunction at 29° Scorpio. And broadcasting to camera on YouTube, he also gets the last word. To get a final feel for the last degree of Scorpio as a “hotly political” degree, consider the horoscope for Margaret Thatcher’s resignation (not shown). Facing the humiliation of defeat in a leadership contest and a lack of support from colleagues, the three-time Prime Minister signed her resignation statement at dawn (7:35 a.m.) on November 22, 1990. (5) The Sun and Ascendant were at 29° Scorpio. Thatcher never recovered from the betrayal, branding it “treachery with a smile on its face.” It was the end of her “acid reign” – eleven ruthless, controversial years in power. Learn more in Frank’s Power Degrees webinar. 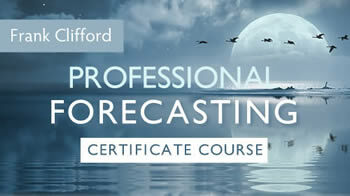 Frank Clifford is an astrologer and palmist and the author of a dozen books on these subjects, including Getting to the Heart of Your Chart: Playing Astrological Detective (2012), Solar Arc Directions (2011), and Palmistry 4 Today (2010). For the complete piece (which won ISAR’s Best Article 2014-2016 Award), please see the ebook version of Frank’s booklet Dialogues. Pat Condell: Fittingly for a final-degree Scorpio, Condell asked that his birth data (given to the author) be kept confidential; however, the source is rated A: from memory. Whitney Houston: August 9, 1963; 8:55 p.m. EDT; Newark, NJ, USA (40°N44′, 74°W10′); AA: from birth certificate, obtained by Kathryn Farmer, copy on file. Billie Jean King: November 22, 1943; 11:45 a.m. PWT; Long Beach, CA, USA (33°N46′, 118°W11′); AA: from birth certificate, obtained by Doris Chase Doane. Mo Mowlam: September 18, 1949; time unknown; Watford, England (51°N40′, 0°W25′); X: from various online sources. Bobby Riggs: February 25, 1918; 1:00 a.m. PST; Los Angeles, CA, USA (34°N03′, 118°W14′); AA: from birth certificate, obtained by Michel and Francoise Gauquelin. 1. Frank C. Clifford, Solar Arc Directions, Flare, 2011, p. 11. 2. Billie Jean King with Frank Deford, Billie Jean, The Viking Press, 1982; additional infor- mation from Selena Roberts, A Necessary Spec- tacle, Crown, 2005. 3. Also, the Astro*Carto*Graphy line for King’s Jupiter (natally in Leo) sets through Houston, and her Local Space Jupiter line runs nearby.